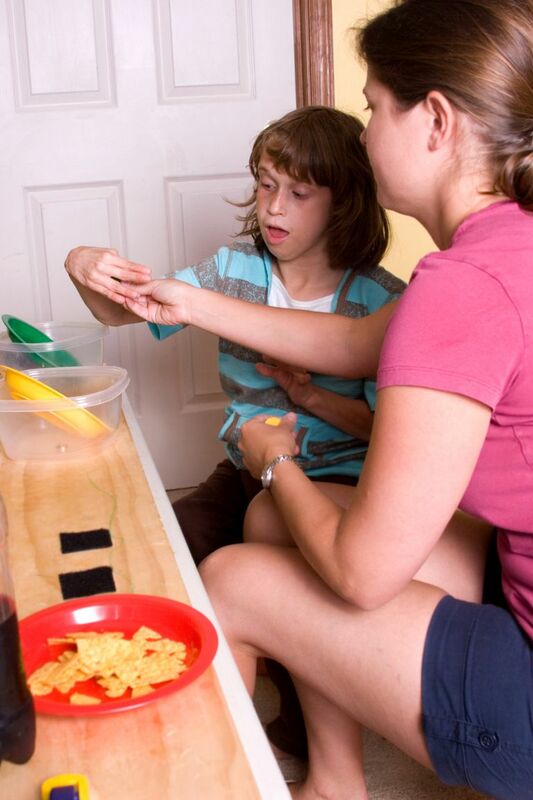 Why Choose Applied Behavior Analysis (ABA) Therapy for Autism? Applied Behavioral Analysis (ABA) is by far the most common therapy to be offered for autistic children and paid for by early intervention and school programs. As a result, it's often referred to as "autism therapy," though it doesn't necessarily address core symptoms of autism such as sensory dysfunctions or social/emotional deficits. Instead, as its name implies, ABA teaches appropriate behaviors in a variety of settings, and at many different levels. ABA, which was developed decades ago, is now just one of many forms of behavioral therapy offered for children with autism. It is, however, the "mother" of all those different approaches, and the most popular. ABA has been around for a long time, as it is an outgrowth of the old "behaviorism" developed by B.F. Skinner back in the mid-1900's. As a result, it is well-established and understood (though ABA is, in almost all cases, a much gentler and broad-ranging approach than the older forms of behavioral therapy). The outcomes of ABA have been intensively studied over decades. ABA lends itself to study because it is a therapy that starts with clear, measurable goals and is implemented in much the same way by every therapist. Because it is implemented in very much the same way by every therapist, it is relatively easy to train individuals to implement ABA. Typically, ABA programs are developed by a trained professional, but then implemented by a paraprofessional. Because ABA has very concrete goals, it is relatively easy to see and measure success. This makes ABA a "gold standard" therapy relative, for example, to developmental therapies which are individualized to each child's particular challenges, strengths, and interests. The question of whether it is actually more effective does not arise, as it is extremely difficult to compare approaches head-to-head. Children with autism often have very challenging behaviors, such as self-abuse and aggression. ABA therapy is often effective in minimizing negative behaviors while encouraging desired behaviors. What Exactly Are Behavior Analysis and Behavioral Therapy? Behavior analysis stems from the idea that behaviors, even when they are challenging or confusing, can be understood as a result of careful observation, record keeping, and analysis. Once behaviors are understood, they can be modified based on the needs and desires of the person whose behavior is at issue. ABA practitioners evaluate children with autism, observing and recording desirable and undesirable behaviors. They then recommend and/or implement interventions to encourage and teach certain behaviors or "extinguish" others. In the past, interventions might have included negative consequences (punishment), but today, almost all specialists agree that punishment is not only morally wrong but also, for the most part, useless. ABA therapy may be implemented in one of several ways, depending on the philosophy of the school or practitioner. The most basic form of ABA is called "Discrete Trials." A discrete trial consists of a therapist asking a child with autism to do some desired behavior such as saying a word, picking up an object, etc. If the child complies, he or she is given a reward (usually a small treat); if the child does not comply, the therapist tries again and again. In recent years, new forms of ABA have been developed which engage the child in "natural" settings such as the playground or lunchroom. In addition, new theories about behavior in autism have given rise to techniques such as "pivotal response" and "token economy" ABA. The Behavior Analyst Certification Board (BACB), an organization based in Florida, offers certifications in behavior analysis to individuals with bachelors and masters degrees. In addition, some universities offer degree concentrations in behavior management and autism. For the most part, however, behavior specialists are people from related fields—education, psychology, social work, etc.—who have taken courses and gathered experience in observing, analyzing and managing difficult behaviors. Why Would a Person With Autism Need to See an ABA Therapist? ABA therapists work to build desirable behaviors and end undesirable behaviors. Children with autism almost always have difficult in developing certain types of desirable behaviors (making eye contact, interacting with others, using speech correctly, etc.). They are also likely to have some undesirable behaviors ranging from spinning or flapping to self-abuse to hitting, kicking, or dashing into traffic. Autistic people may also find undesirable ways to avoid doing what they don't want to do: they may hum, slide under the table, or otherwise avoid non-preferred activities. ABA therapy can help to increase positive behaviors while lessening negative ones; this can make it easier for the autistic individual to be included general education settings, community activities, and other typical settings. How Can I Find a Qualified Behavior Specialist? One option for finding credentialed individuals with training in behavior analysis is to go through the BACB registry, which allows the general public to search for registrants by location. Very often, though, if a challenging behavior occurs in a school setting, the school district will bring in a behavior specialist or therapist they feel is qualified. Parents can, of course, question the choice of specialist, but it may be hard to make a change. Similarly, state and local early intervention programs for children under the age of three may employ their own behavior specialists or behavior consultants. Parents may have the option of having that consultant come into the home to observe and help manage difficult behaviors related to family life. Behavior management consultants may also be found through local hospitals, autism clinics or universities. Look for university graduate programs in areas like special education, social work, and related fields. Applied Behavior Analysis Programs Guide Web. 2018. Pratt, C.). Applied behavior analysis: a focus on outcomes. The Reporter 16(1). 2011. Is Your Child Too High Functioning for Applied Behavior Analysis? Does My Child Really Need 40 Hours a Week of ABA Therapy for Autism? How Can Play Therapy Benefit Your Child With Autism?